I was recently asked by a subscriber to my Church History podcast, Communio Sanctorum: History of the Christian Church, what the seven most important moments or events in Church History were. I decided that would be a great topic to write a blog post on. So here goes . . .
Narrowing major moments in Church History to just seven is a chore. It’s also going to reveal the personal theological bias of the one who attempts it. It probably inevitable that no matter how fair I am, I’m going to pick events that helped steer the course of history into a path I consider significant and jives with my particular theological slant. Nevertheless, I’ll try to steer a neutral course through the ages to highlight those moments that saw the Church either turn a major direction, or avoid that turn in favor staying in line with what’s come to be understood as Biblical orthodoxy. I’ll start the list in the Post-Apostolic era. Listed in order by date, not importance . . . There had been councils prior to Nicaea, but because Christianity was under imperial ban, they were small and hasty affairs. Nicaea was convened by the Emperor Constantine after his supposed conversion some years before. His Edict of Milan in AD 313 officially brought an end to nearly three Centuries of sporadic, but often intense persecution. In a bid to unite his far-fling and disparate empire, Constantine hoped the new faith that was spreading rapidly, would help unify realm. But a recalcitrant bishop from Egypt named Arius had created a firestorm of controversy by fiddling with the nature of Jesus. His ideas were popular with some and had set church leaders against one another in a doctrinal tussle. The Council at Nicaea was convened by the Emperor to address the issue. Nicaea was important for two reasons. First, a Roman Emperor, for the first time in 300 years, gave official sanction to The Church, rather than seek to wipe it out. Though Constantine didn’t weigh in on any of the Council’s decisions, he did convene the council and encouraged the bishops to their work, then threw a sumptuous banquet before sending them home. 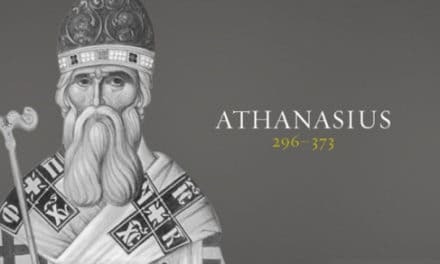 Second, the Council addressed Arius’ error by developing the first round in what would end up being a long process to produce precisely the right words to describe both the Trinity and the nature of Jesus. They declared that Jesus, as God’s Son was both fully God and fully man; that He was “of the same substance” as the Father. This was the fourth of what are called the “Great Ecumenical Councils.” But by “ecumenical” don’t think of it as it’s come to be used in modern parlance; an attempt to unite various religions around a common set of values. In the early centuries of Church History, “ecumenical” referred to councils that called together church leaders from all across the Christian world. Their ecumenism was located, not in an attempt to find things to agree on, but because they already were united in them. Chalcedon was located near Constantinople, the Eastern capital of the Roman Empire. The Council was called to finalize a debate that had been going on for several decades over exactly how to describe the nature of Jesus. A Council in Ephesus twenty years before had been a tragedy when the two sides in the debate seemed driven more by sectarian ambitions than concern for doctrinal orthodoxy. Chalcedon was convened in the hope of cleaning up the messy Ephesian aftermath. The Council settled on the formula that in the Incarnation, Jesus was fully God and fully Human. He had two natures in one person and these natures, the divine and human, were neither mixed nor in conflict. While Chalcedon is notable for setting the orthodox understanding of Jesus’ dual nature for all time, it’s also the point at which the Church enforced a breach that would have long lasting consequences. Twenty years before at Ephesus, Nestorius, bishop of the church at Constantinople, who’d lost out in the debate with Cyril over how to understand the natures of Christ, was declared a heretic and banished. It’s doubtful Nestorius advocated what Cyril accused him of. But Cyril had more friends and argued more persuasively. Nestorius’ followers hung around after their champion was banished, hoping that the Ephesian tragedy would be reversed at Chalcedon. When it was instead reinforced, they followed their leader into exile. Banished from the Church in the West, they went East where they founded a long and rich tradition and churches stretching all the way across Asia to China. Sadly, this history of the Nestorian Church of the East is largely ignored by modern treatments of Church history. While monasticism began as a popular movement in Christianity with the life of Anthony in Egypt in the mid-third century, it wasn’t till the mid-sixth century that it was organized into a system that could be reproduced in many places. Benedict of Nursia was born around 480 and educated at Rome. Offended by the rampant immorality he found there, he left his studies to live as a hermit in a cave 40 miles away. His piety impressed others so he was invited to lead others in a kind of communal hermit lifestyle. But his discipline was more extreme than they could endure. Learning from each of these failures, Benedict tried again in forming a new work at Monte Casino. He spent the rest of his life there. About 20 years after founding the monastery, he penned the Rule for the monastery. It became the constitution for many other monasteries which became part of the growing Benedictine order. Every monastery was directed by an abbot and was to be self-supporting, rather than depending solely on the charity of others. Benedict hoped to provide a place where ordinary people could serve God by serving one another and grow spiritually through a balanced life of work, study, and prayer. Later monastic movements arose seeking to update the Benedictine Rule, or to reform abuses that crept in over time. But it’s Benedict’s work that established a clear pattern for monastic life that became a major feature of the Church scene. During the Middle Ages, monasteries became storehouses of the scholarship of the past; learning restored in the Renaissance. Many students of Church History are confused over the term “The Great Schism.” The cause of that confusion is that it refers to two different events with historians arguing vehemently over which event it belongs to. The first was a split that occurred in 1054 when the Eastern Orthodox Church officially split from the Western Roman Catholic Church. The second was an internal squabble in Roman Catholicism over where the Pope ought to ruler from—France or Italy. Since the first split divided the church between two massive groups that’s continued to today, and the second was eventually patched up and only lasted several decades, the title “Great Schism” seems best applied to the 1054 break. The break-up came about from the Roman’s pope’s over-reach. The churches at Rome and Constantinople vied with each other for supremacy for years. Rome was the seat of the Empire’s original glory. Constantinople was the new capital, where the seat of government lay. Rome claimed it held prime place because its leader was the direct spiritual descendant of Peter. Constantinople countered that its leader’s was no less a spiritual descendant of the Apostle’s, and so of Christ, than Rome’s. When the Roman pope sent emissaries to Constantinople demanding the church there honor his universal authority over church affairs, they balked. Constantinople, which had honored the Roman pope as a “first among equals,” held that church matters ought to be settled by a council of bishops rather than the autocratic rule of s single man. They refused to grant Rome’s bishop undisputed dominion. So, denying the ultimatum, the pope’s emissaries slapped a writ of excommunication on Constantinople’s bishop! He responded in kind. The break between East and West was now official. The rift became wider as the years passed. At the time of the rift, the cultures and theologies of the East and West were already markedly divergent. Now that there was no longer any ostensible connection, the differences became even more distinct. The Eastern church developed into the Eastern, Greek, and Russian Orthodox Churches while the Western Roman Church became the Roman Catholic Church. Relations between East and West depended on the attitudes of the various leaders at Rome and Constantinople. They remained friendly enough during the 11th Century that the Eastern Emperor appealed to the West for help in beating back the Seljuk Turks who’d conquered a large part of the Middle East and Anatolia, the Byzantine Empires homeland. The West reply was the first three Crusades. But the fourth in 1204 ended up conquering Constantinople itself and made for a centuries long break between East and West. Whereas the remarkable moments we’ve considered so far are likely to be familiar to those with a passing acquaintance with church history, this one may be more obscure. I chose it as a notable moment because of the far-reaching impact Peter Aberlard had. His work, along with a few others, was instrumental in the development in medieval theology known as Scholasticism. 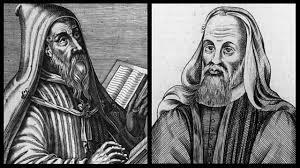 Scholasticism then produced two far reaching outcomes; the Reformation, a reaction against a Scholasticism run amuck, and much later, Theological Liberalism, which took the central idea of Scholasticism to an absurd end. As a young man, Abelard roamed France learning from the master teachers of the day. He did more than listen. Being of keen intellect, he challenged those he caught in factual or philosophical error. He eventually settled in as a lecturer in Paris, where he attracted a host of students. In a tract titled Sic et Non, meaning Yes & No, he posed over a hundred questions from Christian teaching, then answered them using quotations from Scripture, the Church Fathers, and pagan classics. His point was that there were many fronts for discussion and inquiry that needed to be resolved. Abelard said, “The first key to wisdom is assiduous and frequent questioning.… For by doubting we come to inquiry, and by inquiry we arrive at the truth.” This idea of using doubt to fuel the quest for knowledge was common among the ancient Greeks but dangerous ground to medieval Europeans. Abelard had a few fans but many more detractors alarmed by his bold questioning of tradition. When the heat of opposition increased, he decided it wise to lay low for a while and retreated to a monastery. But his supporters eventually persuaded him to return to his pursuit of reason as a tool to develop theology. Abelard again fell out with the religious conservatives, most notably, the widely respected Bernard of Clairvaux who managed to have Abelard branded as a heretic and excommunicated. Though he was now out of the way, no one could stop the growth of the seeds he planted. Schools popped up all over Europe employing his dialectical method of addressing literally every aspect of theology. Less than a century after his death, universities flourished at Paris, Orleans, and Montpellier in France; across the English Channel at Oxford & Cambridge; & at Bologna & Padua in Italy, all of them aflame with the ideas Abelard had sparked. Along with lectures, teachers used what were called disputations. Two or more masters debated a text using Abelard’s question-&-answer approach. This was how Scholasticism developed. It arose from the pain-staking process of arriving at logical conclusions through questioning, examining, and arranging details into a system of logic. Scholastic disputations often caused heated clashes and bitter feelings. Wars of logic ran for years between different scholars, with supporters of each cheering their hero on with loud whistling and stomping of their feet. The point was, students were learning to think. The unquestioned acceptance of traditional authorities was no longer assured. Now, conclusions had to square both with accepted doctrine AND reason. But the further these discussions went the more they departed from the realm of the common person and the concerns of their daily lives. Theology used to be the master science that sought to connect God and man. Under Scholasticism, theology became an esoteric intellectual playground for academics who debated how many angels could dance on the head of a pin. Scholastics became detached hermits in ivory towers the average church goer could not relate to. This preoccupation with an opaque theology colored the church with a reputation that it was disinterested in the affairs of its people. Farmer Joe couldn’t care less if God could make a rock so big even He couldn’t lift it, and the Scholastic priest eventually couldn’t care less about Farmer Joe’s need for rain. Upshot: Priest and people were alienated. The result was the Reformation. Then, much later, Protestants themselves adopted Abelard’s emphasis on reason in their own version of Scholasticism, that morphed into an anti-supernaturalism that redefined historic orthodoxy into Theological Liberalism. Abelard and his work Sic et Non reveal the far reaching consequences of an idea. For this reason, I count Abelard’s career as a major moment in Church History. Since so much has been written on this and it is a moment most readers will have a familiarity with, I’ll keep my comments brief. What makes October of 1517 in Wittenberg of major importance isn’t just what came after. Martin Luther’s posting of his theses and the firestorm it generated was preceded by a couple centuries of reform movements and groups. The Conciliar Movement, Brethren of the Common Life, the career of Bohemian priest Jan Hus, as well as a handful of reform-minded popes all leant weight to the call for change. Luther was able to accomplish what he did because of these pioneers and early advocates for reform. The change affected by the Reformation is so dramatic it’s difficult to calculate it all. It didn’t just see the emergence of a major new movement within Christendom. It led to a major revamp of the Roman Church. Modern Catholicism is in many ways the result of the Council of Trent. There are several periods of remarkable revival that could be pointed to as key moments in history. I select the Second Great Awakening both for its surprising commencement and its global impact. When the breeze of revival began in 1792, things were desperate on the religious scene in both the Europe and the USA. On college campuses, once devoted to training ministers, it was now difficult to find a single student who openly identified as a believer. Notre Dame cathedral was turned into a Temple of Reason, a notorious prostitute queened as the goddess of reason on her altar. Critics rejoiced in the assumption the Christian Faith was about to be ushered out of human affairs. Their celebration was premature. A sweeping renewal waited in the wings. While there had been several small prayer meetings and movements in the decade prior to the revival, there was little organization prayer. Revival began in various places among relatively unknown preachers. Slowly but surely the revival spread until the entire American frontier was ablaze with revival and its expression in often raucous camp-meetings. While the revival followed a different form in Europe, it was not less intense and impactful. Millions were added to existing denominations. New denominations were born as well. Mission movements were launched and social transformation was propelled. Effects of the Revival were felt all over the world over the following decades. While many more moments and movements could be listed as significant for the course of Church History, these stand out in my mind as the more significant. Enjoy your on-going study in this fascinating subject.